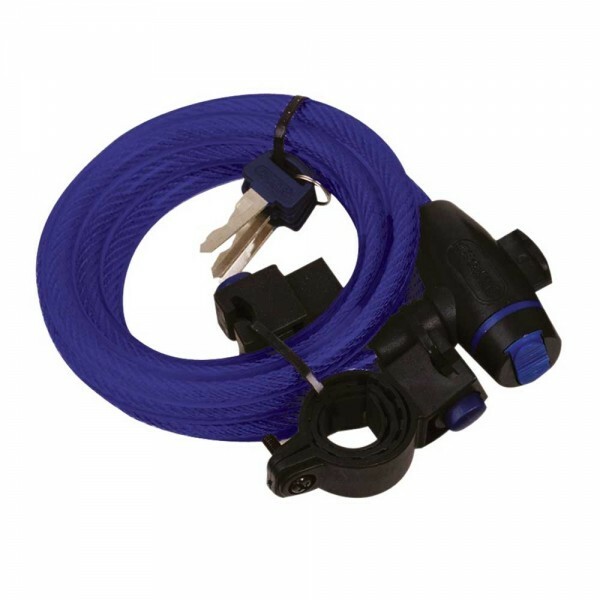 The Oxford Cable 12 cable lock. Premium cable lock with intelligent unique carry bracket design that is easy to use on all tube sizes both frame and seat post. 12mm High tensile steel cable coated in vinyl to protect paintwork. Rotating key dust cover. Ergonomically shaped lock head. Quick release carry bracket.